You know, Astrophotographer’s life is tough… you need good weather, free time, new moon, no light pollution, no engagements an many other variables that lead to ‘no frames’! 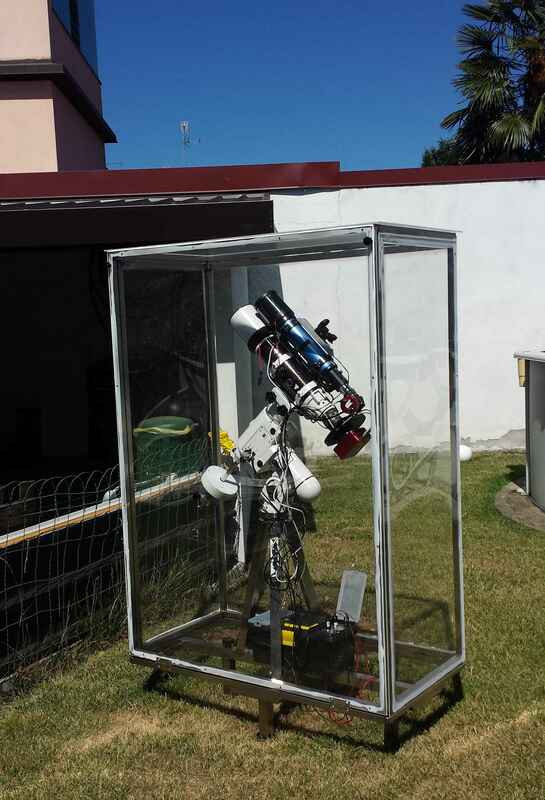 I know I don’t live in the best place for astrophotography, but I decided to build a semipermanent observatory in my backyard. After a long tough period, seems that things are going better. Finally I did it… the old site ended up to be too complicated to maintain so I decided to ‘upgrade’ to a more practical system. Things change at the speed of light and a brand new technology of today, tomorrow becomes old. It has been hard switching from html to php but thanks Google I’ve done it.